The lovely aroma of freshly chopped garlic and curry leaves frying is unexplainable. It gives a delicious flavor to everything that you add to! Have to say that the key ingredients for non-vegetarian cooking is garlic and ginger. Personally I feel finely chopped garlic and ginger gives a lovely aroma and it enhances the taste of curry compared to the paste. In this recipe, I had used lots of garlic and ginger which is very good for digestion and is healthy. 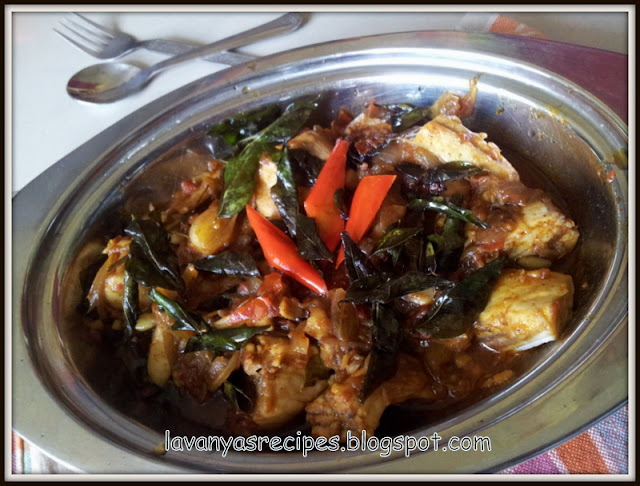 I had used seer fish for this masala but it can be substituted with any kind of fish. 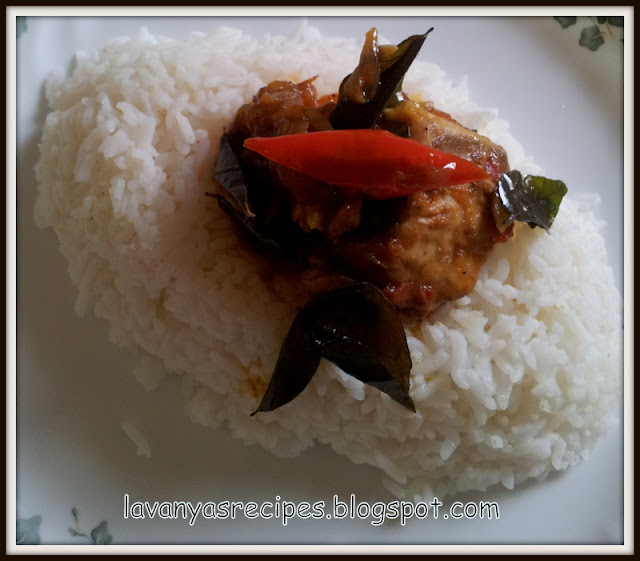 This is one of my favorite recipes and I love this with rasam rice anytime. Every bite of the fish, with the fried garlic and ginger pieces along with the aroma of fresh curry leaves is just divine. Garnishing, is optional but trust me, it actually enhances the flavor of masala. Finely chop the garlic pods. 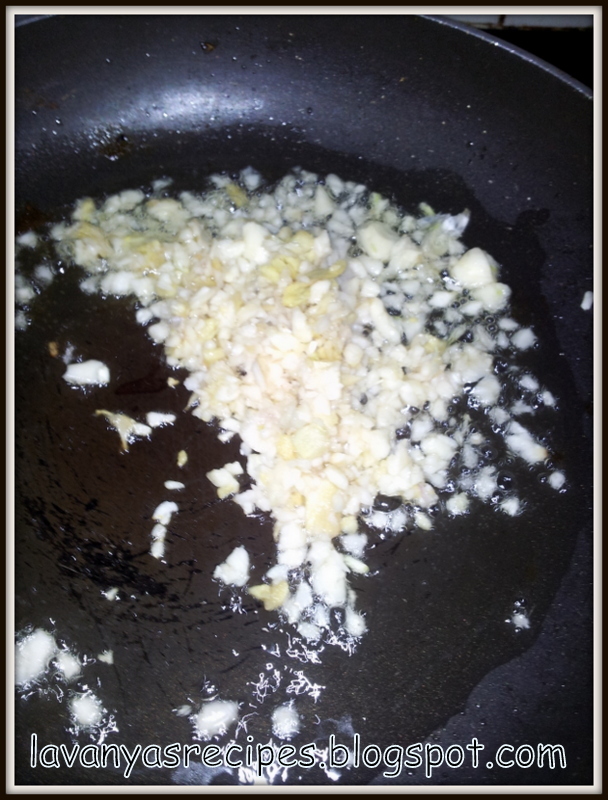 Heat oil in a pan and add the chopped garlic and ginger. 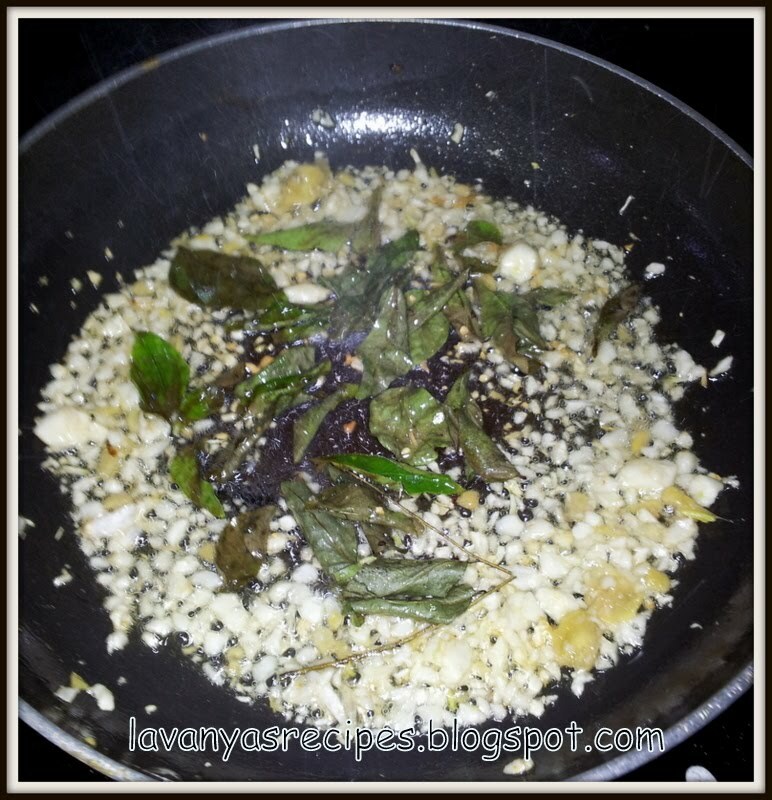 Fry them until the color changes and add the curry leaves. 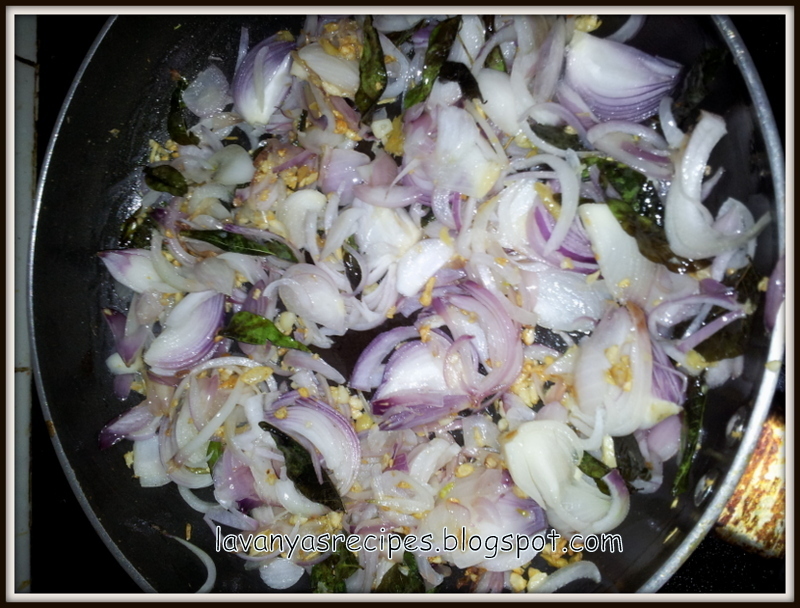 Add the sliced onions and fry them for couple of minutes. 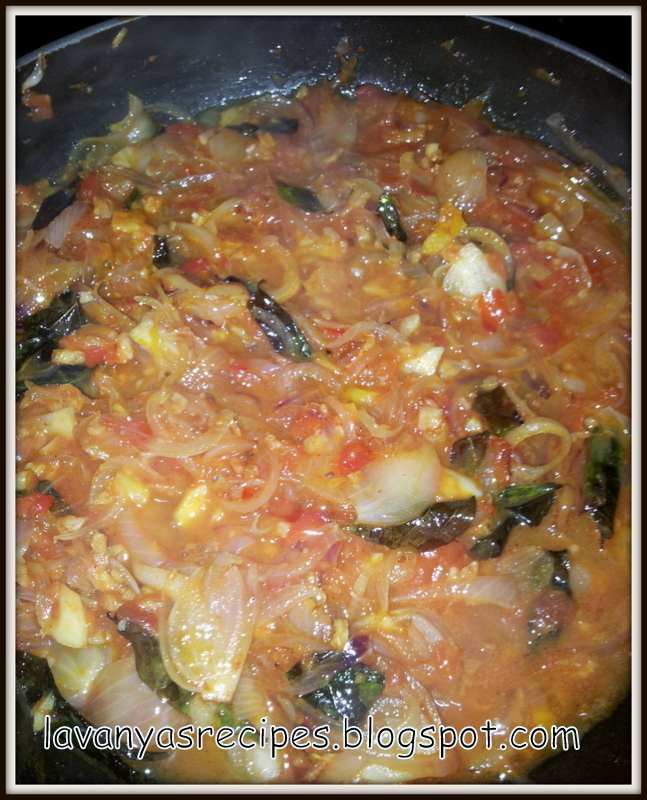 Now add the chopped tomatoes and mix well. Cook until the tomatoes gets mashed. Add the turmeric powder, chilli powder, salt and pepper powder. Mix well and add little water. 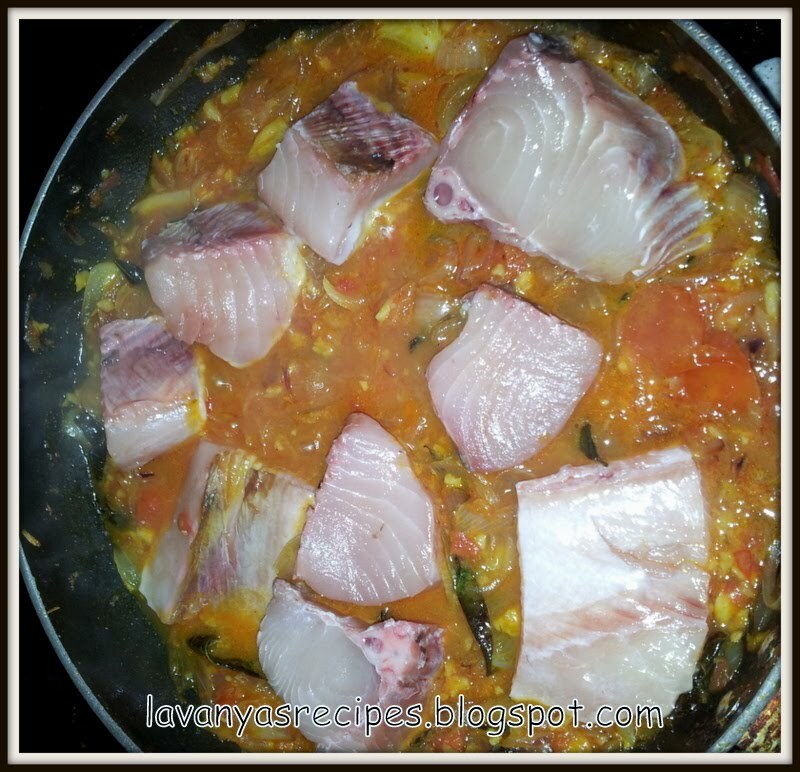 Cook for a minute and then add the fish pieces. 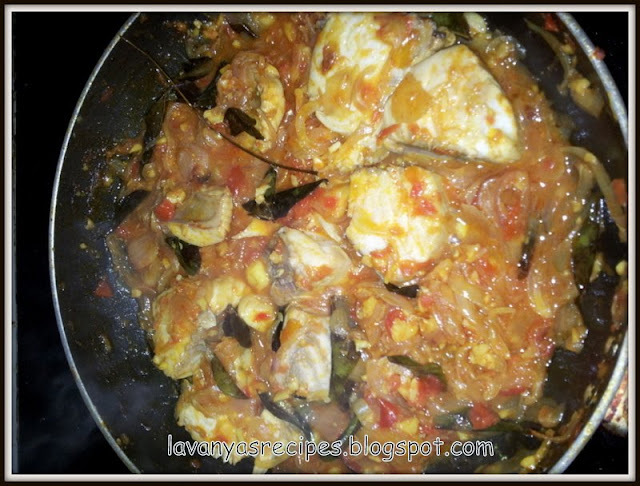 Slowly mix the fish with the masala. Simmer and cover the pan for 5 minutes or until the curry gets little gravy consistency. Meanwhile, heat oil in a pan for garnishing and add the chilies and curry leaves. Fry till they turn crispy. Add the garnish to fish masala and remove from flame. Serve hot. Serve with hot plain rice/sambhar rice/rasam rice/curd rice. So inviting. I could eat 2 bowls of rice with this dish alone.